Jackson, Mississippi has a new villain. Lurking in the shadows until the optimal time to strike, this dastardly ne’er-do-well walks among Jacksonians without raising suspicion. Their reasons are unknown. They haven’t left demands. Do they peel the skin, or leave them on? 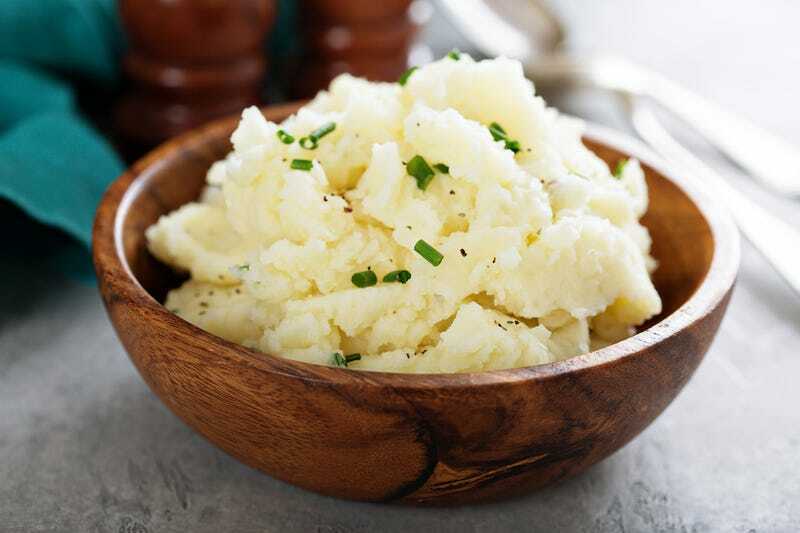 Someone’s been leaving mashed potatoes around Jackson, Mississippi, and people don’t know how to feel. “We don’t know if someone is just playing a prank or if someone just had a lot of leftovers,” she added. Lewis posted a bowl of mashed potatoes left on her car to Facebook. Soon, she found out she wasn’t the first one to fall victim to the potato fairy. People have seen bowls turn up on mailboxes and cars within city limits. Some folks are convinced its an innocent prank. Sebastian Bjernegard, who dodged a bowl full of taters on his way to work says he didn’t eat its contents. Still, “some people were thinking maybe the mashed potatoes were poisoned to kill animals,” he told local news. No charges have been filed, and residents haven’t felt the need to clue in local law enforcement. Until brave Jacksonians rally to take back their city from the scourge of carbs and styrofoam, the potato man lies in wait.